How can we best serve the needs of our customers? Our answer is simple. Treat every customer as if they are the only customer you have. That's the mindset Wallace West takes to work every morning. Twelve years later, he has formed a team that strives to build customer loyalty based upon a job well done. 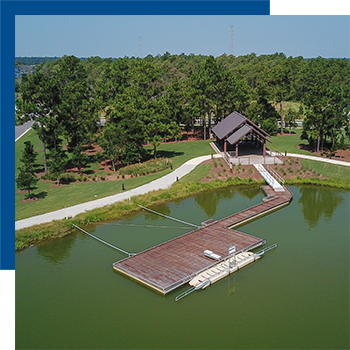 Carolina Streetscapes meets the outdoor amenity needs of builders, developers and property managers throughout the Carolinas. Whether it is a street sign, mailbox or a commercial playground, we problem-solve with our customers for a solution that is creative, cost-effective and long-serving. Coming from the construction industry, Wallace knows the realities of what our customers face. Our team continues to help simplify the on-the-job challenges of our customers. In the end, our hope is we freed up some of your time so you can go after other pressing priorities. Carolina Streetscape was started by Wallace and Gail West in their home in 2006. Their mission, both in their personal lives and business, is to honor God in how they lead and serve. The conduct of their business, Carolina Streetscapes, is no different. Finishing well is very important. It is a job completed, a commitment fulfilled or simply doing what we say what we will do- honoring God and our customer. Specializing in these fine products and much more. custom work available. 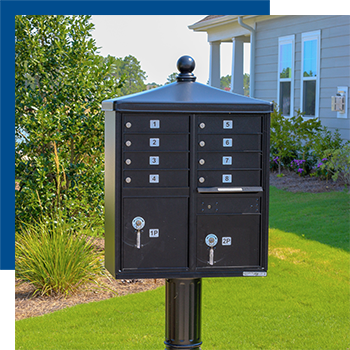 We help identify the right mail products to meet your needs and fit your city’s requirements. As an included service, we work with the post office to get your cluster box addressing sequenced and approved by the postmaster. We stay abreast of changing postal regulations so you don’t have to. 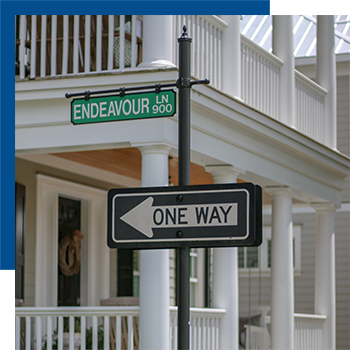 We offer a variety of different sign options to give your neighborhood personality and provide direction. We can suggest sign types and quantities when you provide plat maps, and we keep in regulation with NCDOT, MUTCD, and city requirements. 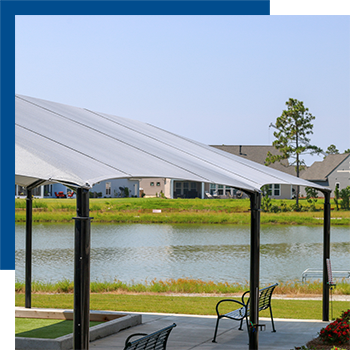 We offer weather resistant shades and shelters to give your visitors protection from inclement weather and sun protection. We perform shade studies to determine the perfect placement for the maximum shade coverage throughout the year. Many standard and custom designs for any piece of furniture you can imagine. 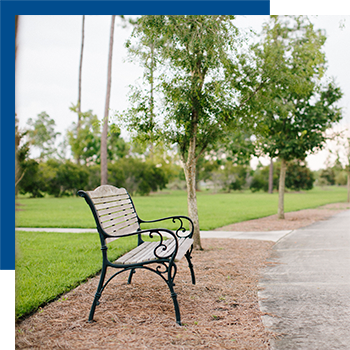 We offer custom furniture and site amenities to make your residents and guests feel welcome. From simple to upscale designs, we can give your site personality while meeting the needs of your property. We have a variety of durable commercial grade options in different colors, styles and price points. We offer recreation products that support physical fitness and enjoyment with safety as our number one priority. 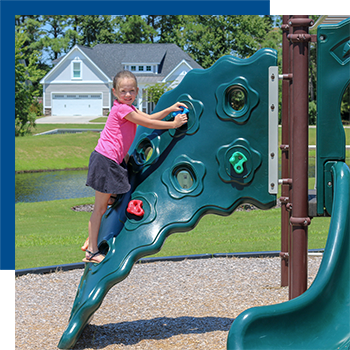 We have 2 certified playground safety inspectors on our team available for inspections with 25 plus years of experience. All of our equipment meets ASTM, IPEMA, and CPSC standards. Inclusive fully ADA compliant units are available. We provide custom accent furnishings to decorate your neighborhood or property. Lights and fencing can add personality and character while being functional and providing security. We have many different styles to choose from. Have an idea what you want but not sure where to find it? 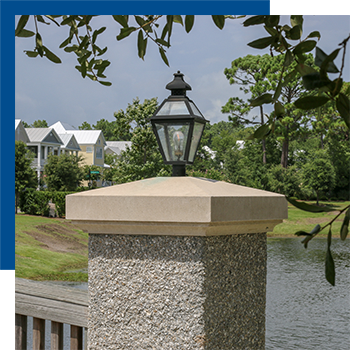 Carolina Streetscapes offers in-house design work and custom products to fulfill your needs. We can incorporate your logo to support your brand or create something that is unique to you. We can also match pre-existing products.